What’s the SUP Perspective? It’s the view from above. Literally, for ocean, bay, lake and river loving “elders” it is the view we get when we hop on our standup paddle boards and see our watery world from a new vantage point. That high level view has always been a much clearer view of the world – whether we talking politics, religion, education, or the environment. In the world of SUP the views is more often literal. Yet, using SUP Perspective as a metaphor around awareness of the threats and injuries our global waters have sustained over the decades I started to consider a means for making a difference. Our family of ocean/lake/river loving “elders” can create momentum for and awareness of the plight of our world’s waters. Are you a dedicated lover of nature? Has the ocean always reigned as the epitome example of our “big blue marble” planet? Does a charging river, a glacial lake, a tropical bay or meandering tributary hold meaning or value to you? Do you have the time and energy to add small changes and big attitudes to a cause driven by stories, pictures and heritage – not money? 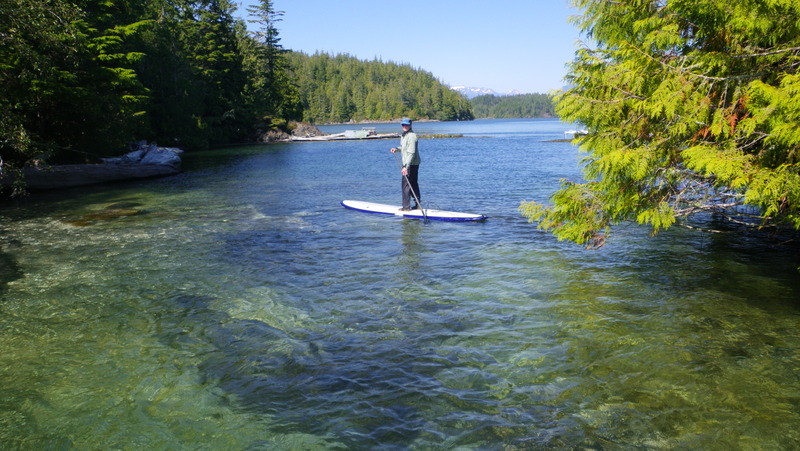 Have you spent some time balanced and paddling on your favorite waters on your SUP board? While this blog project is not limited to the silver haired adventurers, at age 62 I am solidly in that group. At this age I find that there is more time to make a difference. Looking toward the planet we might bequeath to the youngest generation it seems we’d better build awareness and future through our stories and influence. Search the category menu on the right – there should be something for everyone. if you don’t see what you’d like, just let us know. This quest for a healthier water-life for our planet belongs to all of us. Please join the conversation via e-mail, by commenting on this blog and by joining our Facebook group. An indie documentary could result from our collective stories, actions, adventures and insights. Funding is in the works. If that aspect of this endeavor sparks your imagination, please let us know. This entry was posted in Bahamas, Hawaii, Lakes & Bays, Ocean, Rivers, Uncategorized and tagged environment, healthy ocean, stanhdup paddle, SUP by Water Words. Bookmark the permalink.